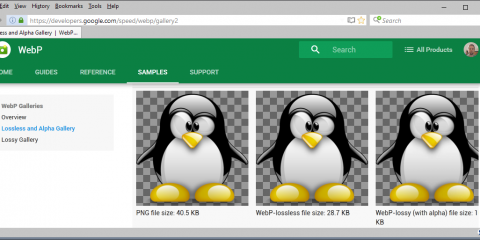 Mozilla launched a new TestPilot project for the Firefox web browser yesterday that brings Containers to all versions of the web browser. We talked about the web browser’s Containers functionality before in our first look of the feature back in mid 2016. Containers look a lot like Firefox profiles on first glance, but they are different in several characteristics. One of the main differences is that containers run under the same profile. 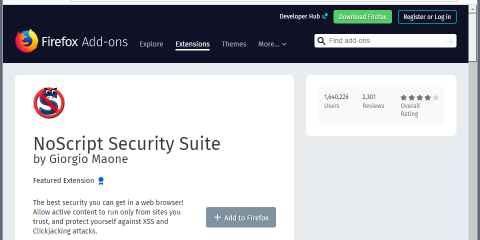 While they do separate certain kinds of data when used, other data is not separated like it is the case if you are using profiles in the Firefox web browser. 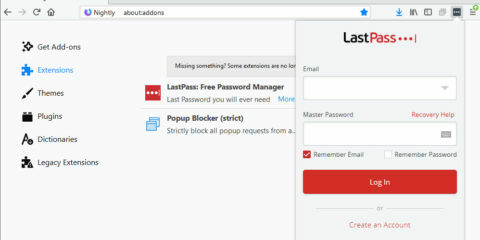 Basically, many of the bits of data that get transferred or created when you connect to websites are separated, while features such as extensions, bookmarks, or browser preferences are not. This makes Containers less powerful than profiles, but still useful for certain use cases. You can use the to sign in to the same web service multiple times, separate browsing activities by using different containers for activities like shopping, social media, research, or entertainment. 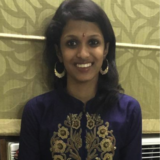 The latter can be quite useful to limit tracking or ad retargeting among other things. You can sign in to Gmail for instance, and use Google Search in another container to avoid that the account is linked to the searches. 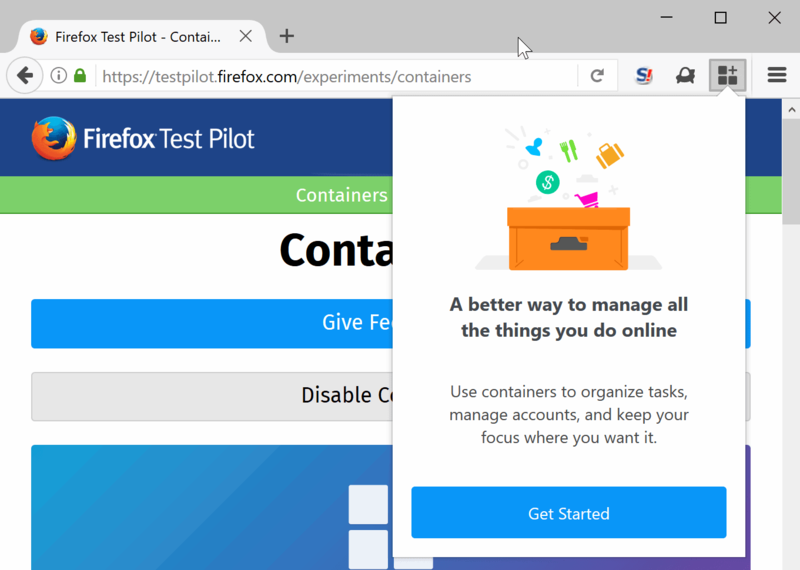 The newly launched Containers experiment of the TestPilot project brings the feature to all versions of Firefox. You do need to install the TestPilot extension first, and then the Containers experiment to make use of the feature. If you move the mouse cursor over the plus icon in the tab bar, you will notice the new container options that you can launch from there in new tabs. Simply move the mouse over the plus, and select one of the available containers that you want to launch. You find the color of the container under the tab as an indicator that the tab has been opened in a particular container. All containers use icons and colors to help you distinguish between them. Since containers separate most site data, you will notice that you are not signed in to any account because of that for instance. The functionality of the experiment is somewhat limited right now. You can edit the four default containers — personal, work, finance and shopping — and create your own custom containers as well. A click on the container icon in the main Firefox toolbar lists all containers. You can click on any to open a tab in the selected container. The menu indicates as well if sites are currently opened in selected containers. A click on the arrow icon next to a container opens a list of all sites of that container. From there, you may move the tabs to a new window, or hide the container. Hiding hides all tabs of the selected container until you return to the menu later on to reveal the container again in the browser. The order in which container tabs are displayed in Firefox may be change with a click on the sort button. This moves tabs of any container next to each other in the browser’s tab bar. Mozilla launched the Containers TestPilot experiment to gather data on usage. The data will certainly play a role when it comes to making a decision on the future of the feature. Will it land in Firefox? I would like to see more functionality added to it prior to that, like the ability to restrict sites to containers, shortcuts to open them quickly, or control over a containers set of saved data. 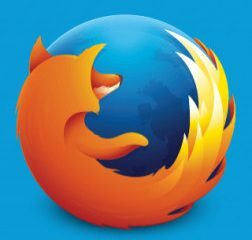 Now You: What’s your take on Containers in Firefox? The post Mozilla launches Firefox Containers TestPilot experiment appeared first on gHacks Technology News.